The man accused of killing Officer Adam Jobbers-Miller returned to court Monday to determine if he is mentally fit for trial. 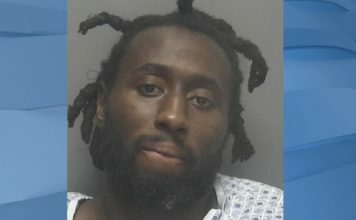 Wisner Desmaret is accused of killing officer Jobbers-Miller in July of 2018 at a gas station on MLK Boulevard in Fort Myers. Desmaret has a lengthy record in crime and mental health issues. A judge said he will grant a PET scan as soon as Desmaret’s lawyers find a facility that will do the testing. The last four times Desmaret was arrested in Lee County, judges say he wasn’t mentally competent to stand trial, according to the state attorney’s office. If convicted Desmaret could face the death penalty. A competency hearing is set for Desmaret in June.